Located in Brookhaven, Park at Oglethorpe is a sought-after, prestigious community of luxury homes including European style and traditional construction. The neighborhood has approximately 48 homes on lots ranging from 1/4-3/4 acre with prices starting at $1 million. The Park at Oglethorpe is located on Windsor Parkway in Brookhaven. The area is conveniently located near GA 400 and I-285 and is in the 30319 zip code. Here are the top 10 reasons why we love The Park at Oglethorpe! City of Brookhaven – Park at Oglethorpe is located in the City of Brookhaven in zip code 30319. Established as a city in 2012, Brookhaven is DeKalb County’s largest city with approximately 49,000 residents and twelve square miles. Check out life in Brookhaven in this Brookhaven video. 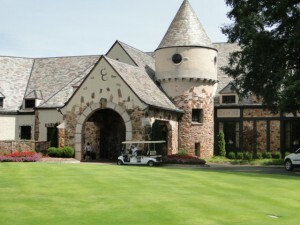 – Close by in Historic Brookhaven, Capital City Club is a private country club offering golf, tennis, and swimming. The newly redesigned 18-hole golf course was opened in 2009. In addition to the nearby parks, there are also other recreational facilities close to Brookhaven Lakes. The Cowart Family/Ashford Dunwoody YMCA has an indoor pool, workout room, and other facilities offers programs, classes, and hosts special community events. The YMCA soccer fields are close by at the corner of Peachtree Dunwoody Rd and Windsor Parkway. The Lynwood Recreation Center has several multi-use fields and courts, including a basketball court and a tennis court. There’s also a swimming pool, a playground, and a picnic area at the Lynwood Recreation Center. 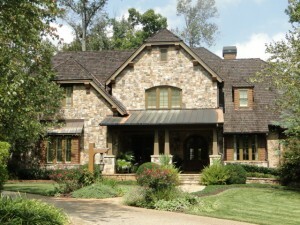 Homes within the The Park at Oglethorpe community are custom luxury homes with prices starting $1 million. Most of the homes were built between 2006 and 2014 and have open floorplans with stunning kitchens and full finished basements with high-end finishes. 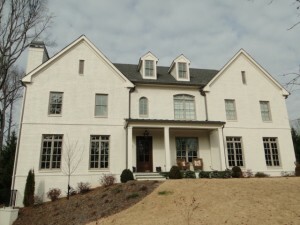 A few of the notable builders are John Willis, Dovetail Homes, Mayfield Signature Homes and Tommy Webb along with several other custom home builders. Location – The Park at Oglethorpe is located just inside of I-285. The neighborhood is off Windsor Parkway east of Peachtree Dunwoody Road. This convenient location has easy access to I-285 and GA 400 highways and is a quick hop to Buckhead or Brookhaven. 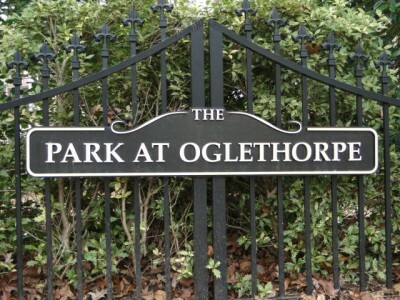 Shopping – Because of the prime location of Park at Oglethorpe, there is plenty of great shopping close by. Three major malls are only a few minutes away: Lenox Square, Phipps Plaza, and Perimeter Mall. Also in the vicinity, is Town Brookhaven. Some of the large retailers are Publix, Marshalls, and Costco and there’s also several boutiques. Dining – There are also many restaurants close to the neighborhood including two of my favorites, Avellinos Pizza and Haven Restaurant. Town Brookhaven has Bua Thai and Sushi, Flying Biscuit Café, Newk’s and Moe’s Southwestern Grill. Town Brookhaven also has two pub-style restaurants called Olde Blind Dog and There Brookhaven. Park at Oglethorps is also close to Buckhead, residents can also take a quick drive to all of the top Atlanta restaurants located there. Park at Oglethorpe is located close to several parks. Chastain Park is just on the other side of GA 400 and it has tons to offer. There are concerts in the amphitheater, baseball fields, tennis courts, a horse park, a golf course, and movies in the park during the summer months. To the east of Park at Oglethorpe is Blackburn Park. This park has a playground, tennis courts, softball fields, basketball courts, soccer fields, and plenty of trails and picnic areas. To the north is another smaller park called Ridgeview Park. You will find a playground, nature trails, and a picnic pavilion at the Ridgeview Park. 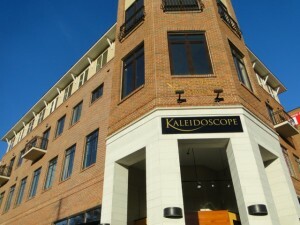 specialist, Children’s Healthcare of Atlanta, is also located near Park at Oglethorpe. There are also numerous physician offices in the area, as well. Public Schools – The Park at Oglethorpe neighborhood is zoned for DeKalb County public schools: Ashford Park Elementary, Chamblee Middle School and Chamblee High School. Private Schools – There are also wonderful private schools close by. St. Martin’s Episcopal School and Our Lady of Assumption Catholic School are for students from Pre-K through 8th grade. Marist is a private Catholic college preparatory school with approximately 1,000 students from grades 7 through 12.